The beauty of Geomax 12" Gold Plastic Ruler, we offer, lies in its bold marks that enhance convenient readability. The ruler is made of the finest virgin plastic and is characterized by durability, strength, and fine finishing. 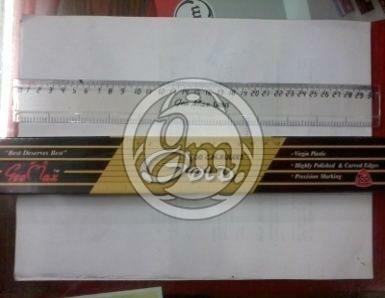 We are standing amid the acknowledged Manufacturers and Suppliers of 12 Gold Plastic Ruler.